Melbourne: India will continue to target Australia's under-pressure openers Alex Carey and Aaron Finch as they seek to add a one-day series win to their first ever test series victory in the third and final match in Melbourne on Friday. Carey and Finch's best opening partnership in the first two matches of the series is the 20 runs they achieved in Adelaide on Tuesday. Carey, the team's vice-captain, has scored a total of 42 runs while captain Finch has tallied just 12 and been bowled by Bhuvneshwar Kumar in both games of the series, which is locked at 1-1. Finch was also dropped from the test squad after he struggled in the that series and India have concentrated on the 32-year-old, who has 11 one-day international centuries and two in Twenty20 internationals. "We respect that Finch is a great player ... we make sure our guard is up always," Indian opening batsman Shikhar Dhawan told reporters on Thursday. "The boys must have seen his weakness and they are implementing their plans quite nicely. They're not giving him singles that easily or even boundary options. "Once you're creating that pressure to a batsman, especially in limited overs, that batsman is going to do something extra or take more risk to rotate the strike or to score more runs. That's where we're having the opportunity." 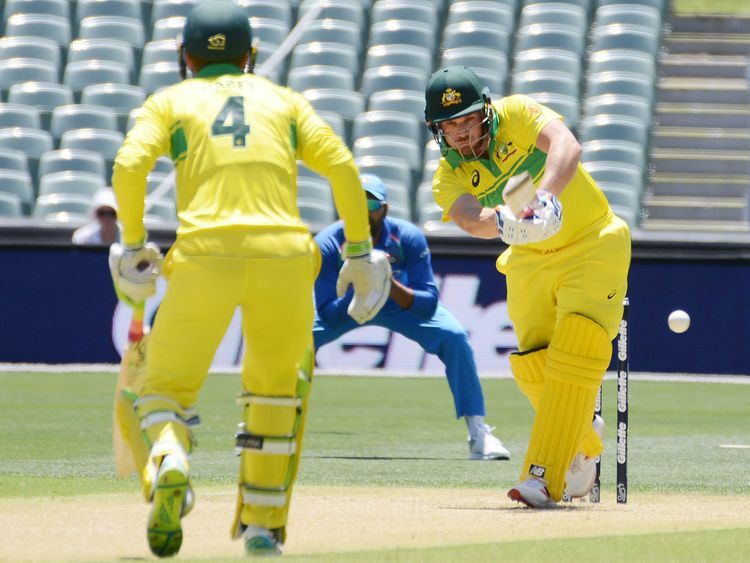 Dhawan added that the pressure the bowlers were placing on the Australians at the top of the order meant they were not capitalising on the fielding restrictions during the first 10-over power-play. Australia slumped to 41-2 in 9.5 overs in the first game in Sydney, while they were 38-2 after 10 overs in the second match in Adelaide, although that total was only boosted by scoring 11 runs in the 10th. "Bhuvi (Kumar) is very experienced as well as (Mohammed) Shami," Dhawan said. "That's why in the first 10 overs we have been dominating." Finch, however, said he had been reviewing footage of his dismissals in the series and comparing it to more successful periods, which has contributed to 3,430 one-day international runs at an average of 36.88. "Maybe I've been too tentative in the last couple of games, letting a bit of pressure build up," Finch said. "It's always a fine balance between attack and hanging in there and waiting for the right time to be aggressive and take on the game. "I still feel that I'm a very good player ... 13 international hundreds suggests that I do know what's required."